Create a high power look with plenty of pizazz by accessorizing with this designer pre-tied bow tie in stylish shades of punchy reds, royal blues and golds. 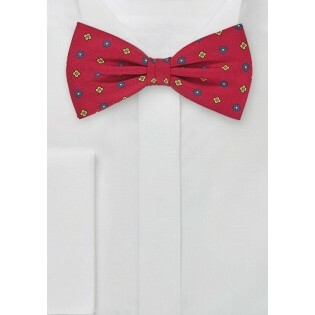 Look absolutely fabulous by pairing this bow tie with a solid white dress shirt and a navy blue blazer. This sensational accessory is a brilliantly sharp creation from the Cantucci Luxury Line and is crafted from top quality silks. 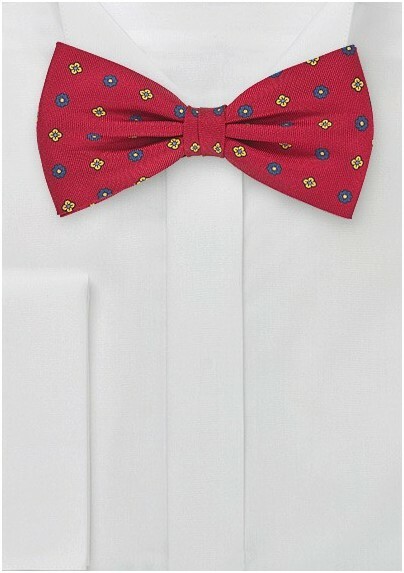 You will instantly fall head over heels with the limitless potential of this pre tied bow tie.